The Quest is the ultimate lightweight sleeping quilt, albeit a high-tech one built with One Planet quality, technology and innovation. This versatile bag is warm(ish), superlight and compact on its own, and is easily secured around any sleeping mat to keep you warm in mild conditions. In cooler weather, the Quest is to sleeping bags what thermals are to layering, combining with all new One Planet bags for warmth in a huge range of temperatures. The Quest attaches inside these bags easily and securely on either side of zip, allowing you to pick and choose your bags to suit the conditions. Available in regular or large. One Planet sleeping bags are rated using the new ISO standard ISO 23537-1, a revised version of European Standard EN 13537. This means every sleeping bag has two ‘real world’ and one extreme rating. To determine what temperature might be most suitable for you see our technical pages. ‘Extreme’ rating is a survival rating for a ‘standard’ woman. According to ISO 23537-1, ‘a strong sensation of cold has to be expected and there is a risk of health damage due to hypothermia’. This is a survival rating only, and consumers should not rely on this rating for general use. The best guidelines are the comfort and limit of comfort ratings. Quest sleeping bags come in two sizes. As a general rule, our sleeping bags are a little roomier than other brands. We use two qualities of down in our sleeping bag range. The Quest quilts are filled to order with our 700-750 loft DWR DOWN. 700-750 loft DWR treated duck down is our best value down, used for applications where minimum weight and packed size are not critical. 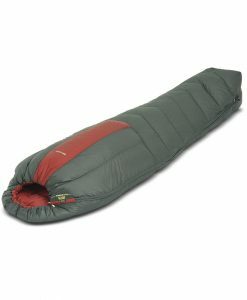 Sleeping bags filled with this down are around $50 cheaper than their 800-850 loft counterparts and around 100 grams heavier. 800-850 loft DWR treated duck down is our premium choice – a must for the gram counters. This high-lofting white duck down delivers luxurious warmth at a fine feathery weight. This down has excellent compactability and loft recovery. Quest quilts are made using lightweight and highly breathable 15-denier Vapour Vent fabric. This strong, compressible and highly breathable fabric is ‘downproof by construction’: the tight weave keeps the down in but allows water vapour to escape. This reduces the possibility of clamminess and allows the down to loft fully for maximum performance.